Alexandra Hardwick, who has worked for global brands such as Disney, Hugo Boss, Stella McCartney and H&M, set up Line and Dot Creative four years ago after relocating from London. 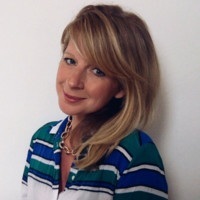 She now specialises in branding and design work for charity clients such as Macmillan Cancer Support and the British Heart Foundation, as well as Nottingham-headquartered information giant Experian and the University of Nottingham – and a host of smaller local businesses. "I love the freedom that working from Nottingham has given me. Working with smaller companies means I’m not working on the high profile brands I was in London, but I believe the fundamentals don’t change; I can still offer them in insight-led concepts, creativity and thoughtful designs to form strategic branding solutions that fit their long-term vision." With the help of The Big House programme, Hardwick now has plans to step up her business and has joined forces with other female entrepreneurs, local female business owners and the University of Nottingham to create the 'My business my way' toolkit, aimed at supporting women who run their own business. "Nottingham has so many impressive female entrepreneurs, and they’re all an inspiration. I’ve enjoyed every moment of my time in the city so far and I’m looking forward to working with others to promote the success of Nottingham’s female-owned business community." Enabling Dispace to take their innovative approach to creating co-working space to the next level!